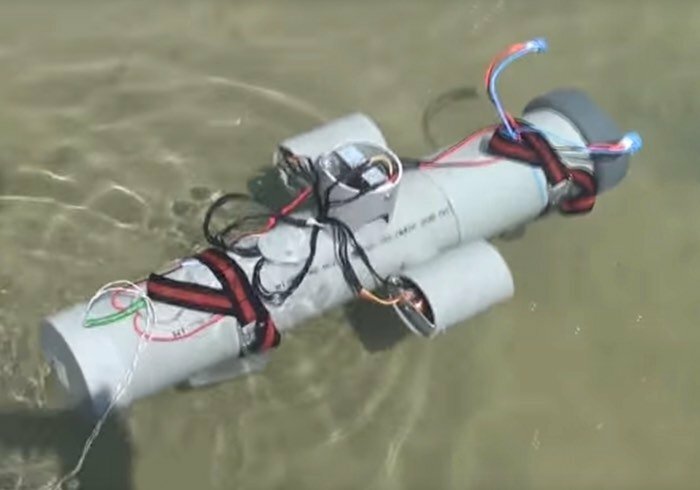 Anyone looking for a little inspiration to create the next awesome Raspberry Pi project, may be interested in this awesome Raspberry Pi ROV or underwater drone which has been created by YouTube user Niels Affourtit. Inspiration for creating the underwater drone that is powered by the Raspberry Pi mini PC, was found after its creator watched a documentary made by National Geographic about the salvage of the Costa Concordia. Check out the video below to learn more about its inspiration and construction using a HD camera, the Raspbian operating system and a handful of 3D printed parts, a BOSCH BMP180 Atmospheric Pressure Sensor, a ADXL345 Digital 3-Axis Gravity Acceleration Sensor. The build took around 250 hours and cost approximately €350. I saw a VideoRay for the first time. I was impressed and started searching online to see if I could build one myself. I ended up at openrov.com and decided to build mine from scratch using their knowledge. I started Christmas 2014 and here you see the maiden trip in a sweet water lake in the Netherlands last week.